We are excited to announce today the hiring of Erich Welton as the next Head Coach of the Minnetonka Swim Club. Erich has been a member of our staff since early 2014 and has served for most of that time as the Head Age Group Coach. During the past few years Erich has been instrumental in the development of our age group athletes while also often assisting with the senior program. Most recently our age group athletes finished 4th and 5th place at the two previous state meets. Erich has also coached multiple Minnesota state record holders and served as a Lead Coach with the Team Minnesota Zone Team since 2013. This is Erich’s ninth year as a club coach in the Twin Cities. “I'm really excited to take on this new role. It's a huge honor to be able to lead such an amazing group of athletes to new heights and to be able work with the coaching staff and volunteers to build on an already successful program. I can't wait to see what we can all do together.” Coach Erich said. Erich started his swimming career as an athlete in Middleton, Wisconsin where he was a state champion and multiple time All-American. From there he went on to attend the University of Minnesota where he competed for the Gophers from 2004-2008 while lettering and being a part of two Big Ten Championship teams. Before coming to Minnetonka Swim Club, Erich coached at Interlachen Country Club for three summers and Edina Swim Club for six years. “Coach Erich is one of the most accomplished young coaches in Minnesota and we couldn’t be happier to have him take over as our head coach. I am excited to support him in this new role and look forward to the continued growth of our club moving forward. 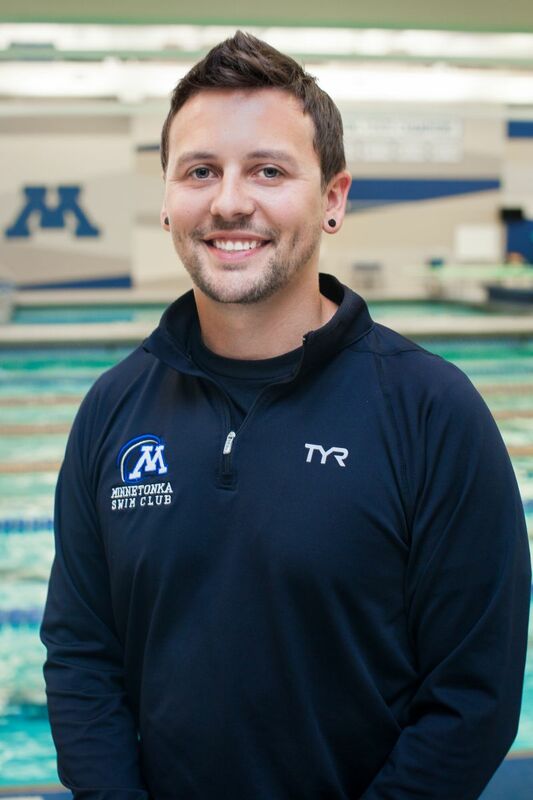 He is a Minnesota guy that is committed to the Minnetonka Swim Club and the continued development of each athlete that trains here,” Aquatics Director Dan Berve said. Erich brings great experience and passion to this position and we are excited to have him serve as our head coach! Please join us in welcoming Coach Erich in his new role!